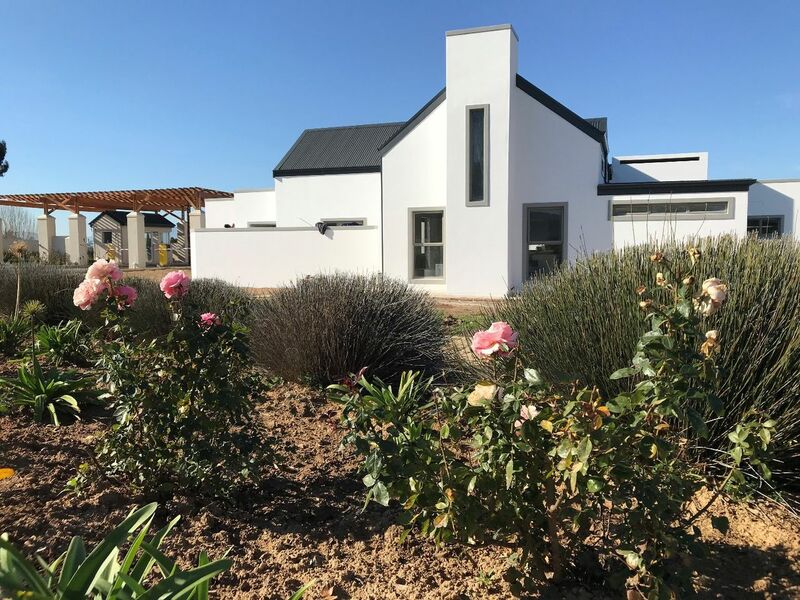 Newly built home with mountain views in Silwerstrand Golf and River Estate. This elegant 3-bedroom home offering top class finishes, features double volume cathedral ceilings in Lounge, freestanding wood fired stove, open plan kitchen with island seating area which will allow for great entertaining.The spacious master room has a large en-suite bathroom which looks out onto a private courtyard. The two guest bedrooms share a family bathroom as well as a separate guest toilet. This home has been built to enjoy the wide open views and has a lovely outdoor entertainment area with built in braai. Enjoy the beautiful Golf course views and sunsets at this prime residence on Silwerstrand Golf Estate.